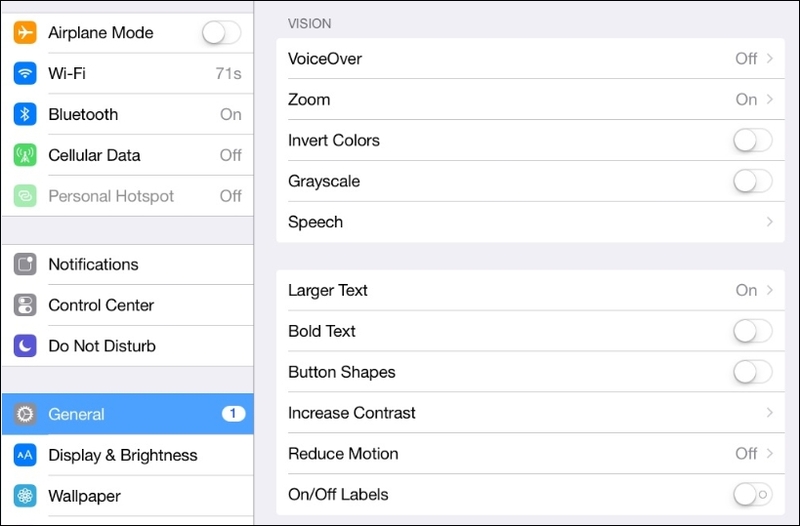 Some of the accessibility features in iOS 8 are detailed and illustrated below. Turn on and set VoiceOver options here. Option is available for zooming partial screen, or a "window"